‘why is learning and speaking Dutch so hard?’ Let’s have a look at some of the challenges and their solutions. ‘mag ik een bruin broodje, alstublieft?’ and surprisingly the shop seller answers you in English. What is happening here? Is the person in the shop English? No! So why do you get an answer in English? on the front of your head. And you will see, people will smile and help you speak Dutch. You have created a perfect opportunity to practise your Dutch conversation skills. If you say this, it is obvious you have never done a Flowently session with one of our tutors. short sounding vowels and the famous ‘Dutch smile’. Isn’t that a weird situation? There is a secret you need to know: the Dutch have a very small ‘language tolerance’. What is this? This is why ordering a ‘glas wijn’ at 9pm at a bar in Amsterdam with bit of an English accent can be a real puzzle for the bartender. The same for ‘bitterballen’, pronounced like ‘bieterballen’, while you are drinking a beer. These are the most common challenges new speakers of Dutch face. Sometimes just knowing that it’s not only you can really help. There are situations that you cannot change, so just accept it, develop a strategy to deal with it and move on. You WILL get better at Dutch. Like everything in life, a new language takes time and practice. All you need is to give it more time and keep on practicing. 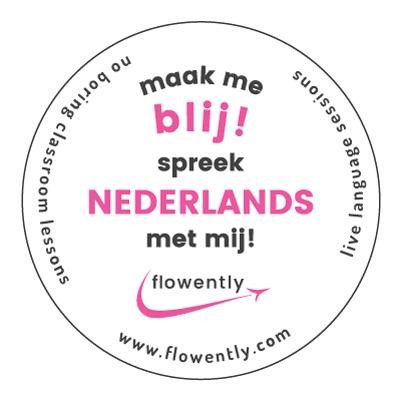 Flowently > Tips > WHY IS LEARNING DUTCH SO HARD?